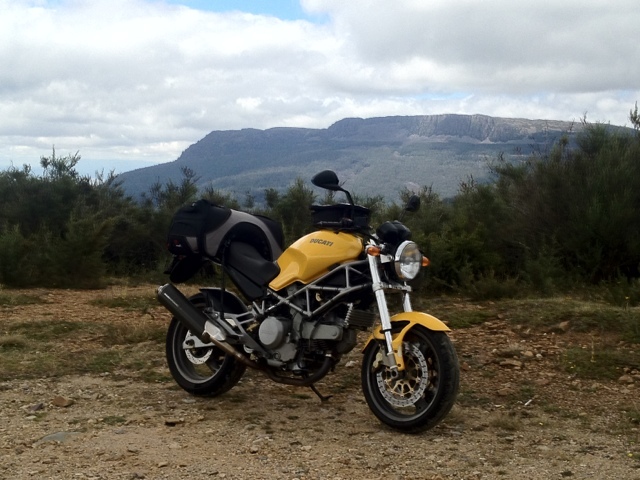 Late Check out of the Grand Chancellor and off to Deloraine for breakie. 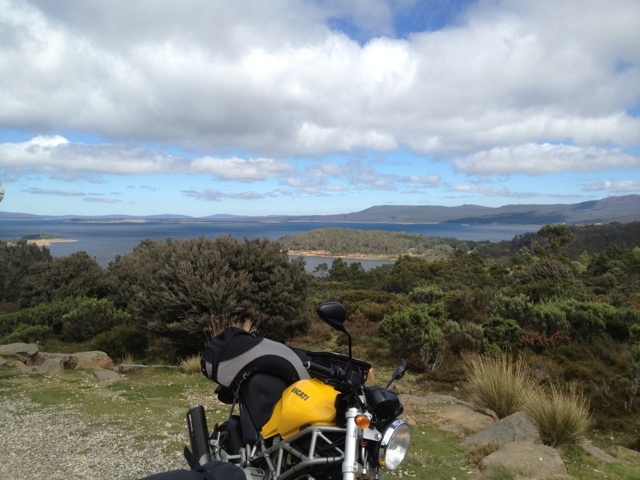 We then headed up to Meander until we hit dirt then rode back to the A% and up onto the Western Tiers and the great lake until again the road turned to dirt. Exhausted we rode back to Deloraine and sat in the park beside the river to punch out a few cryptic crosswords before heading to Devonport. 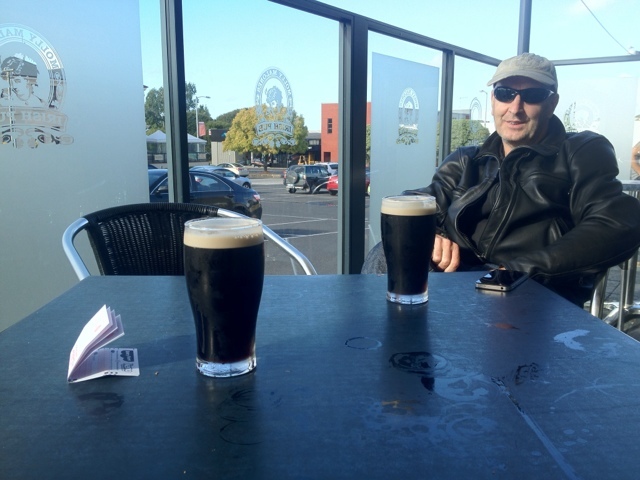 A mandatory finish to all tours of Tassie is a couple of Guinness'ssss before queuing to get on to the Spirit of Tassie. Once on board we slipped into the routine of pig out meal and a few drinks. 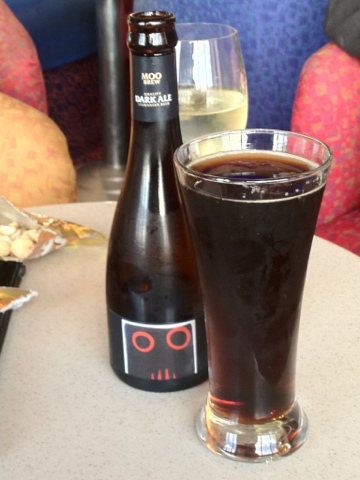 This time around I discovered an excellent Tassie beer, "Moo Brew" a dark ale to rival all others.